Here is a quick step-by-step tutorial for How to Enable Delete Confirmation Dialog in Windows 8. By default, Delete Confirmation Dialog is disabled in Windows 8. This means, when a file or folder is deleted, Windows 8 do not ask for your confirmation. In this article, I will show how you can enable Windows 8 Delete Confirmation Dialog. In Windows 8, when you select a file or folder and press the “delete” button of your keyboard, the file or folder is straight away sent to the recycle bin. This become dangerous sometimes as you might press the “delete” button inadvertently. In all previous versions of Windows, there was a provision of “delete confirmation dialog box” to avoid such situations. That provision is available in Windows 8 too, but it is not enabled by default. 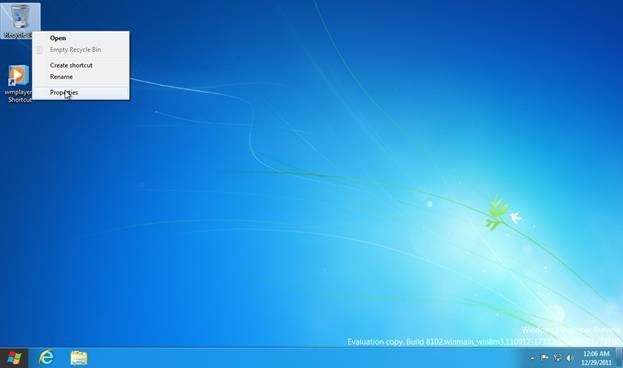 Also check out our tutorial on How to Run Windows 8 Developer Preview from USB. 1. 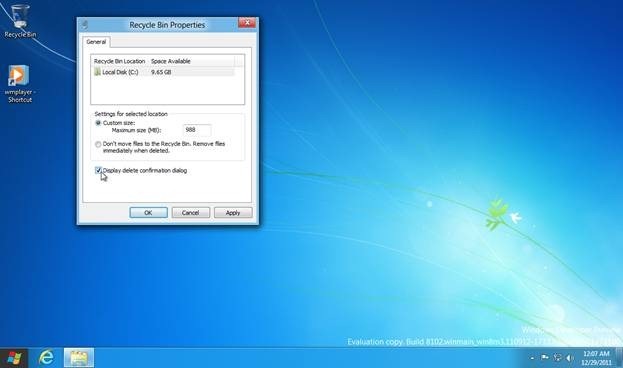 Right click the “recycle bin” present on the desktop of Windows 8. 2. From the context menu that appears, select “properties”. 3. “Recycle bin properties” dialog will open up. You will see “display delete confirmation dialog” checkbox. Check it to enable and click the “OK” button. From now onwards when you delete a file or folder, Delete Confirmation Dialog will pop up to confirm your action before sending the file or folder to recycle bin.